"They are disappointed that no one will be held accountable for their son's tragic death, which occurred while in police custody," said the family's attorney. 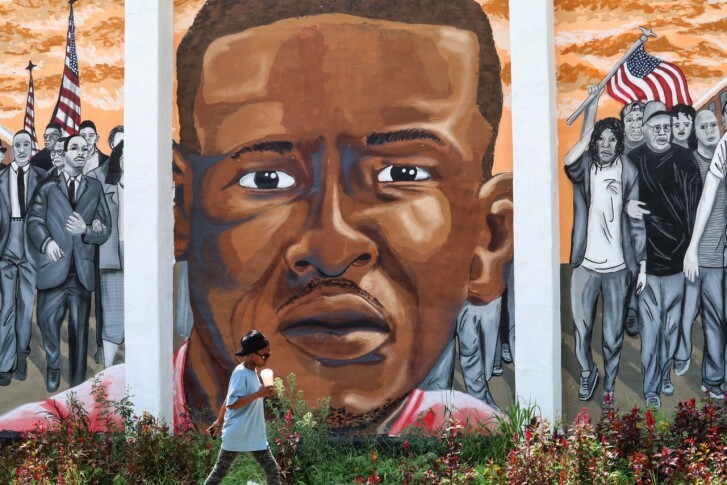 WASHINGTON — Lawyers for Freddie Gray’s family say family members are “devastated and disappointed” with the Justice Department decision not to bring federal charges against Baltimore police for the 2015 death of Freddie Gray. Gray suffered fatal injuries while in police custody, and his death sparked days of protesting, which turned to rioting at times, in Baltimore. “They are disappointed that no one will be held accountable for their son’s tragic death, which occurred while in police custody,” said attorney Hassan Murphy. Skeptical that politics may have played a role in the DOJ’s decision not to bring civil rights charges against any of the Baltimore police officers, Murphy and his law partner-father, attorney Billy Murphy, visited the federal agency to learn the justification for its decision. “We have to admit that we left satisfied with the investigation undertaken by this particular group of lawyers at the Department of Justice, most of, or all of them, holdovers from the Obama administration, and they were frank and forthright about the things they had done and the steps they had taken in this investigation,” Murphy said. The Gray family lawyers acknowledged that the DOJ has limited jurisdiction and also faces a higher burden of proof in lodging federal charges. “This is a bitter pill for all of us to swallow. It is the end of a chapter, and it is a sad and tragic chapter,” Murphy said. All state criminal charges filed by Baltimore State’s Attorney Marilyn Mosby were dropped last year against the six officers. Five of the officers are scheduled to face Baltimore police internal disciplinary trials later this year. The family reached a $6.4 million settlement with the city for Gray’s April 2015 death. 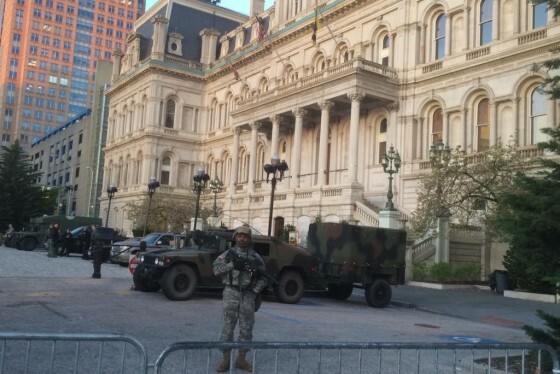 The death of Freddie Gray in April 2015 sparked protests, a heavy police and National Guard presence in Baltimore, an investigation, and charges against six officers.